Flattering, professional and feminine, a pencil skirt is flattering to almost every body shape. 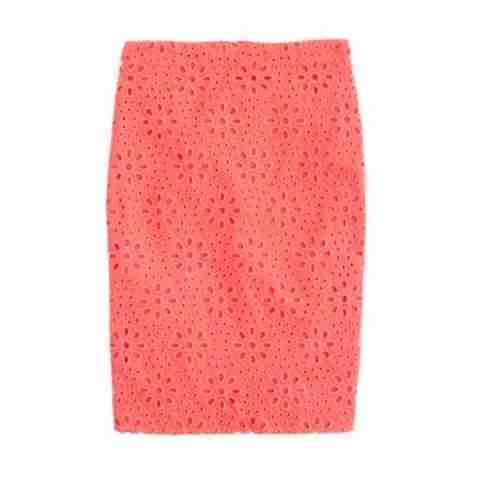 The pencil skirt below is ultra summery, I love the bright colour and eyelet pattern. A pencil skirt is a great investment piece, they are always in fashion and are massively versatile. The J.Crew eyelet skirt is available directly from the J.Crew's website and costs €130. Which for me is a lot for a skirt even though it is massively wearable. Why not to buy fake designer handbags ?